Between 2015-2017, severe drought resulted in a humanitarian crisis across many parts of East Africa; most notably in Somalia & Ethiopia. Repetitive failed rainy seasons resulted in a crisis that has unfortunately become a vicious cycle in this part of the world. Children suffer most during times of drought. Drought results in severe malnourishment for children, this is compounded by dirty drinking water resulting in many health complications. Add to that the fact that they are often displaced by drought, their chances of survival are limited. 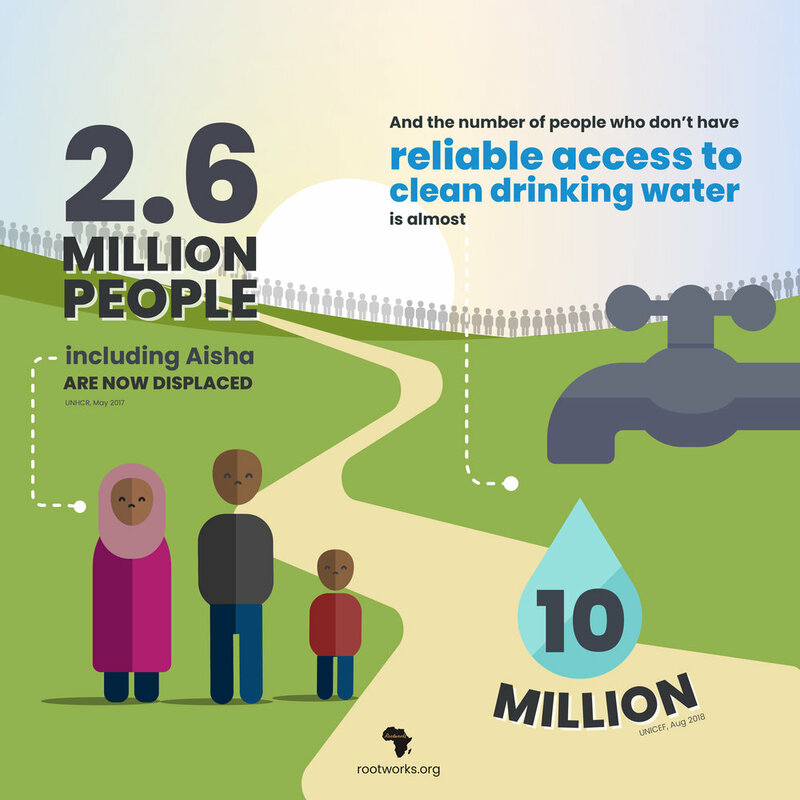 Drought is causing communities to spend more time per day obtaining water. Some communities we came across spent up to 10 hours per day obtaining water. Most the time it’s women and children tasked with obtaining water. 10 million people people in Somalia and Ethiopia don’t have access to clean drinking water as a result of drought. 2.6 million have been forced to leave their homes as a result of the drought.